This is a recreation of a pie that I had at a restaurant that went out of business. I can’t say that it is perfect, but it is pretty awesome. And so easy!! It actually makes two pies. Mix pudding as directed on box using 2 3/4 cups of milk. Divide evenly between both crusts. 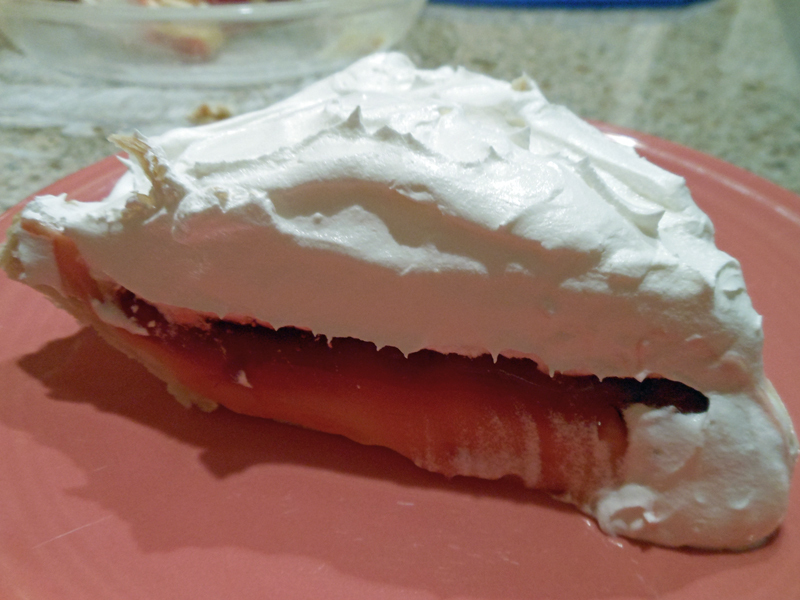 Then divide strawberry pie filling evenly between both crusts on top of pudding. Then divide Cool Whip evenly between both crusts on top of strawberry filling.